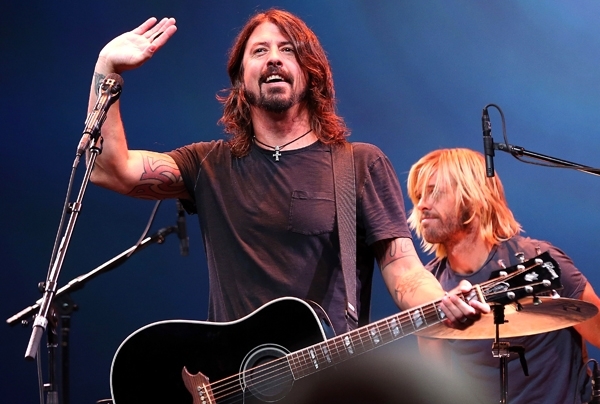 Dave Grohl has another reason to look forward to Sundance. The rocker will bring together a band called the Sound City Players to perform at the Park City, Utah, film festival in a show that coincides with his directorial debut, Sound City. The January 18th show will include guests and musicians featured in Sound City, though the lineup is still under wraps. The Sound City soundtrack includes collaborations with Stevie Nicks, Nine Inch Nails' Trent Reznor, Josh Homme from Queens of the Stone Age, Rick Springfield and more, so those artists form a potential lineup for the show. Another possible guest could be Paul McCartney; the former Beatle linked up with Grohl, Krist Novoselic and Pat Smear for a Nirvana reunion of sorts at the 12-12-12benefit show, playing a new song that stemmed from Sound City. Sound City examines the history of the now-shuttered Sound City recording studio in Van Nuys, California. The studio was famous for its gear, including the Neve 8028 recording console that Grohl purchased in 2011. Nirvana were among the bands to record at Sound City, laying down the tracks to Nevermind there in 1991.